One thing I love to do is craft and create so when I was thinking about what kind of Christmas gift in a jar to make, I went with my heart. I would love a gift like this for Christmas with a collection of craft supplies. 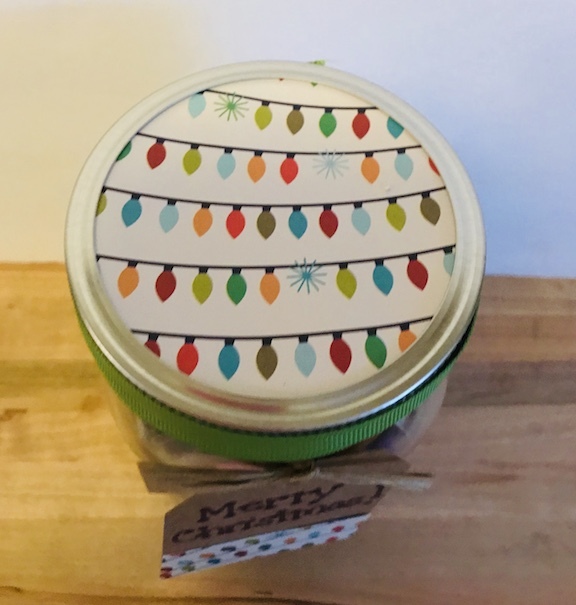 A Merry Crafters Christmas Gift in a Jar is perfect for anyone who loves to create. 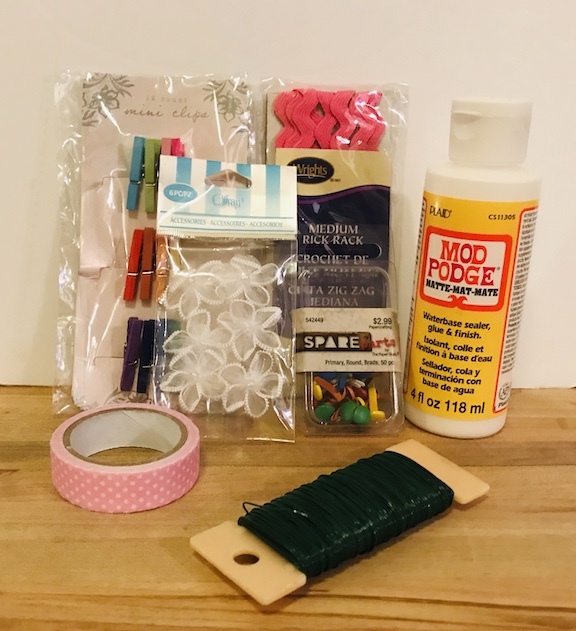 Crafters love to buy craft supplies and will buy just about anything if they find it cute. 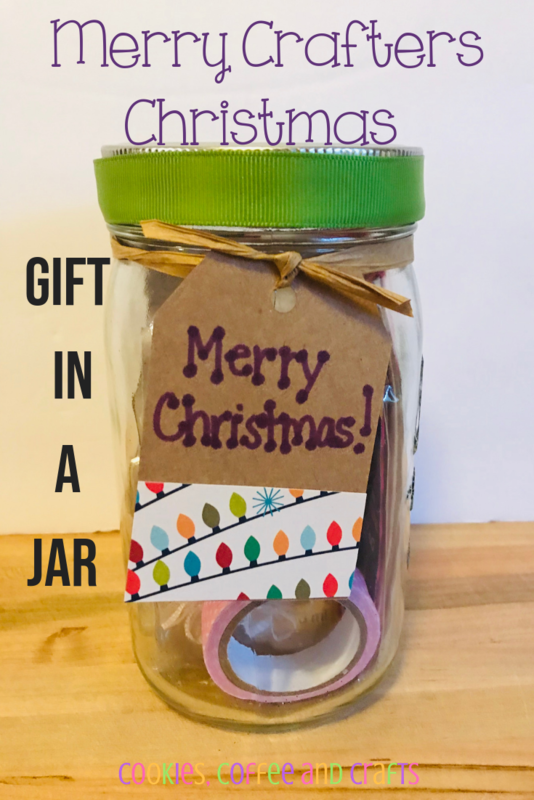 Just fill up your jar and your gift will be ready! 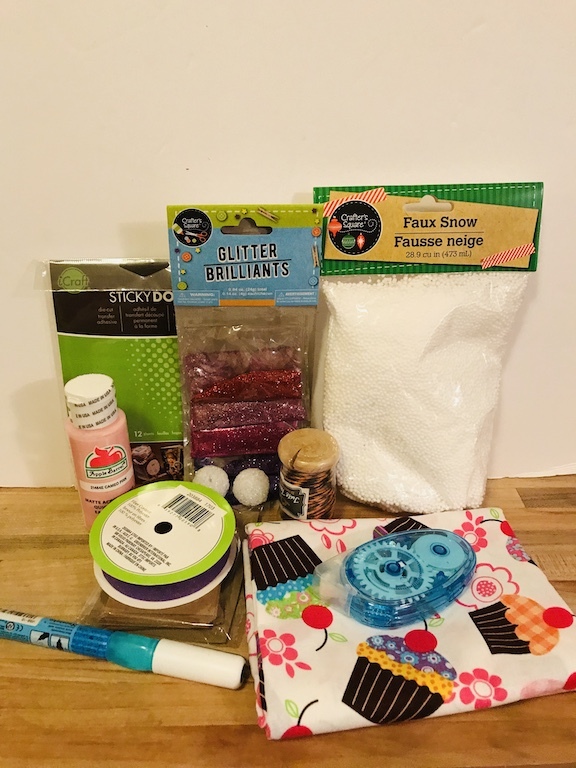 Most crafters I know love the Dollar Tree or the Target Dollar Spot or anything at the craft stores so the possibilities are endless. Personally I could spend forever looking at all of these places and I wish I could fill my cart each time I go. Crafting can be so many things and done is so many ways, I think putting a variety of just about anything will work. 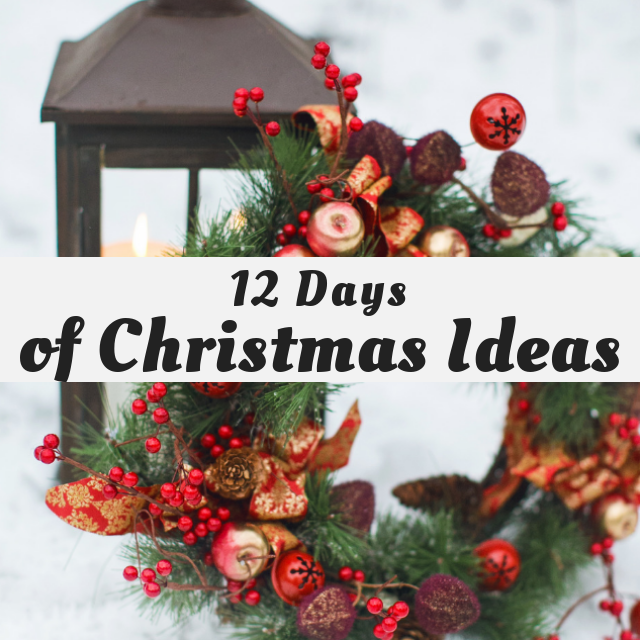 I love all the little things, you might need for a project some day, like cute clothespins or washi tape or twine. 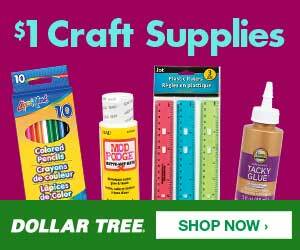 If it’s colorful, shiny, glittery, sparkly or cute, crafters will love it! Just think about the crafters personality and style as you create this jar. To get started, pick your jar! I found the wide mouth jar the easiest to place the items inside of, but you might have to take some of the items out of their packages. 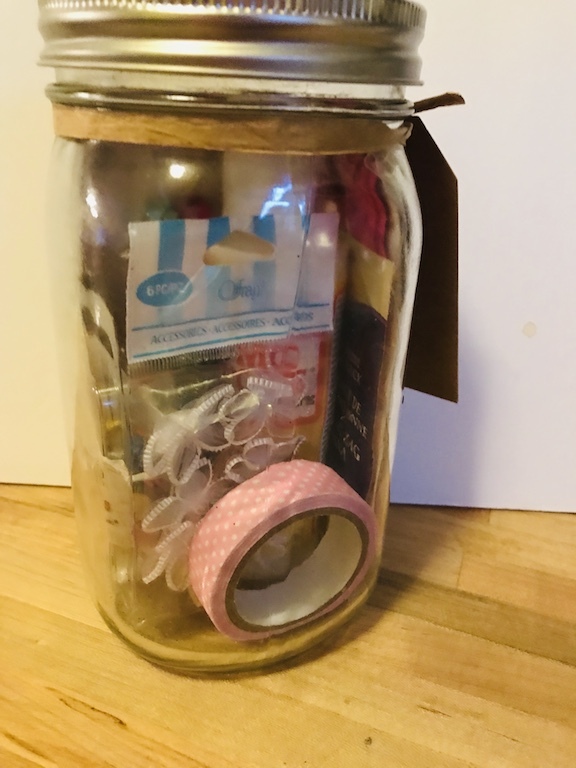 Here is everything that is inside of my Christmas Gift in a Jar. Here is a side view of what everything looks like in the jar. I would suggest to try and keep things in the same color tones and have some tall items and short items. Then I added a cute tag, scrapbook paper and ribbon to decorate the top of the jar. It’s super cute right! I might just wrap it up for myself. 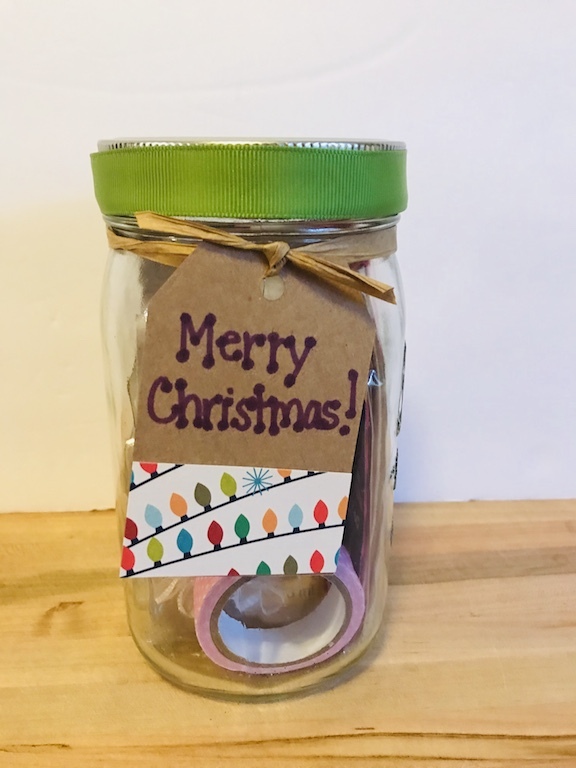 Would you like a crafters Christmas gift in a jar this year?